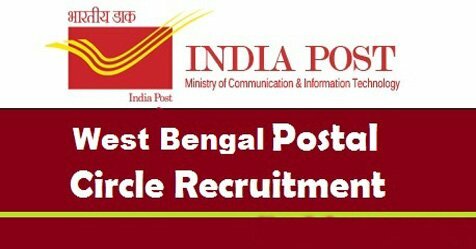 West Bengal Postal Circle Recruitment Notification 2018.West Bengal Postal Circle inviting applications for the positions of MTS.Interested and Eligible candidates can apply for the positions. Last date for Submission of Application is September 07th, 2018.. Contenders those who are GDS candidates joined in the service on or after 01st April 2018 are not eligible to apply. Maximum age for Gen/ UR candidates is 50 years, age relaxation for SC/ST is 05 years, OBC is 03 years. Through competitive examination candidates will be hired. 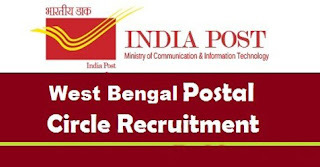 Through offline mode for West Bengal Postal MTS Recruitment candidates can apply by 07th September 2018.
http://www.westbengalpost.gov.in candidates can download application form and send to below given address. Office of The Chief Postmaster General W.B. Circle, Yogayog Bhawan, Kolkata-700012.